For the second article in his “Protecting Mauna Kea” series, Will Falk of Deep Green Resistance briefly sketches the history of the Hawaiian islands, describing how this autonomous nation was illegally occupied by the United States. With no attempt ever made by the US to redress this faulty foundation, its presence in Hawai’i and its control over vast areas of Hawaiian land are ongoing violations of international law. 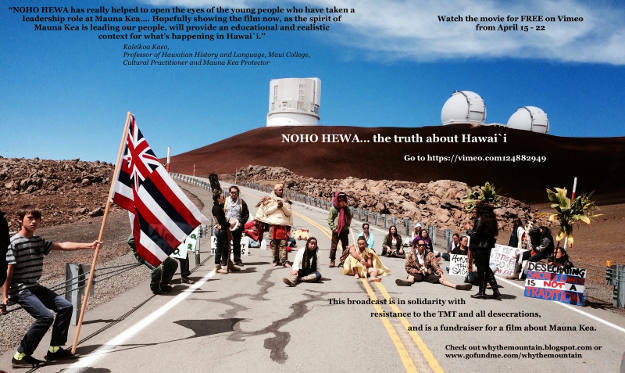 How can the American government and the American people after learning this history, after admitting the wrongs done to Hawai’i still allow something like the TMT project to happen? I think the answer is that learning the history is only the first small step. Knowing the history, we must act. One of the intentions behind my writing is to try to understand how so many people can recognize problems in the world and then fail to act to solve those problems. I am a haole, so I can only speak as a haole, and I believe too many haoles settle for pointing out their privilege while the more important work involves undermining the forces that grants them that privilege over others in the first place. The history is clear. Hawaiians are being wronged. Now, we need to act. 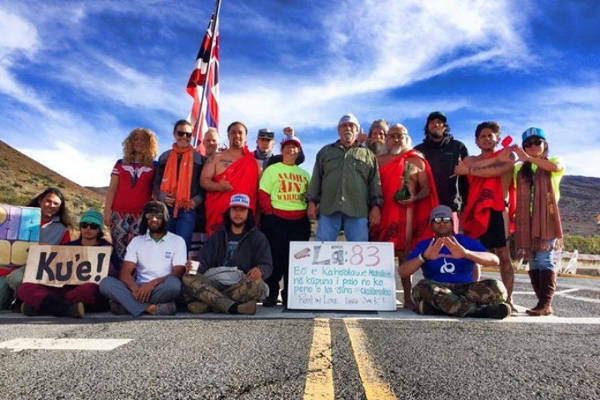 Read Will Falk’s entire article: Protecting Mauna Kea: History for Haoles. 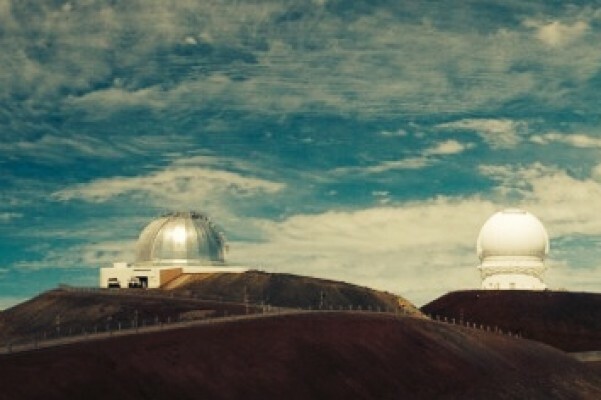 See all of his “Protecting Mauna Kea” essays, plus other resources, at our page Protect Mauna Kea from the Thirty Meter Telescope. This entry was posted in Colonialism & Conquest and tagged Hawai'i, History, Native Hawaiians, Settler colonialism, TMT, US Navy, Will Falk on April 29, 2015 by Norris Thomlinson. Owen Lloyd of the Deep Green Resistance News Service recently interviewed Hawaiian activist and filmmaker Anne Keala Kelly on traditional practices such as the lū‘au, hula, and giving of lei. They explore how the dominant colonizer culture has appropriated and corrupted those traditions, in part to sell a tourism industry, and as part of the larger assimilation and undermining of Hawaiians. ‬What advice do you have for non-Hawaiians wishing to stand with Kānaka‭ ‬ʻŌiwi against cultural appropriation and colonialism more generally‭? Kelly:‭ ‬Great question‭! ‬And I want to say upfront that we are dealing with a settler-colonial situation in Hawaiʻi,‭ ‬but it’s a prolonged,‭ ‬belligerent occupation under international law because we are a nation state whose citizens never consented to becoming American.‭ ‬Hawaiians,‭ ‬in fact,‭ ‬were very clear in their opposition to being annexed to the U.S.‭ ‬That’s why there was never a treaty of annexation and that’s why what the U.S.‭ ‬has done instead is conduct what may actually be the longest running occupation of a nation state in history.‭ For Americans that’s a tough statement because they’re comfortable lumping us in with what was done to the natives on the continent– they’re okay with the narrative of us as tragic and past. They can talk about the occupation of Palestine, but Hawaiʻi? That implies present tense possibility. An important interview for anyone wanting to understand the relationship between the occupying settler culture and Hawaiian culture, or how cultural appropriation works in general. Read the entire interview at Consuming Hawaiʻi: Anne Keala Kelly on the Appropriation of Hawaiian Culture. This entry was posted in Colonialism & Conquest and tagged Anne Keala Kelly, DGR writing & analysis, Native Hawaiians, Owen Lloyd, Settler colonialism on December 20, 2014 by Norris Thomlinson.